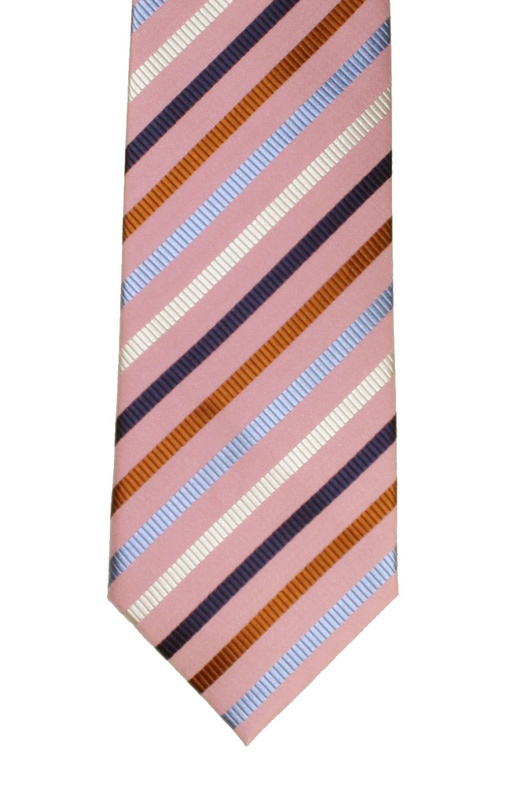 A pink silk tie with white, dark gold, light blue and navy stripes. One of our Striped Ties range. Clip-on White Trouser Braces with gold coloured fitments. Adjustable.